The 6th Annual Delridge Day Festival continued to flourish with more family‐style picnic games and activities in the Kids Zone, including bouncy house, balloon artist, wading pool and face painting. This year’s vendor booths also expanded to include local businesses, artists and non‐profit groups like the Delridge Produce Cooperative and West Seattle Tool Library. First Delridge Day Chow Down featuring food truck to feed festivalgoers. The trucks are: Jemil’s Big Easy Food Truck (Cajun), Highland Park’s own Athena’s (Greek), and Full Tilt Ice Cream (with an ice cream “trike” instead of truck)! Music Stage showcasing four local bands. 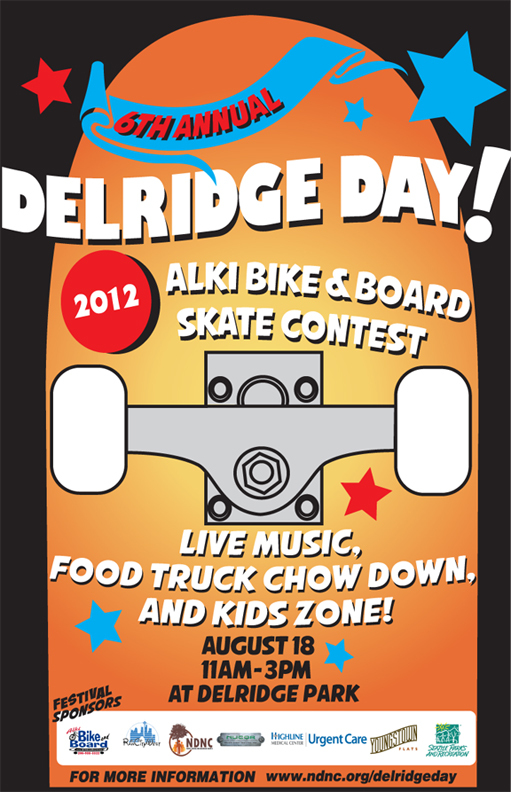 Delridge Skate park’s first ever Alki Bike and Board Skate Contest with local pro‐skaters and advocates as judges, with over $1,000 in prizes! 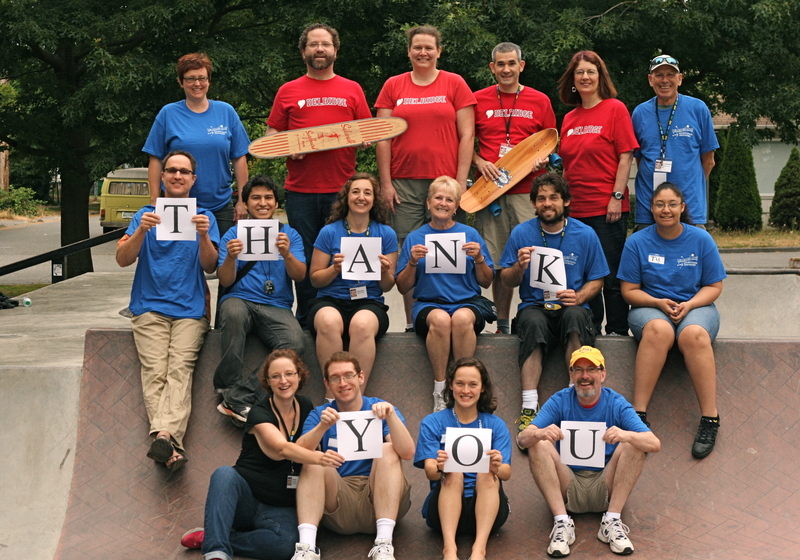 A portion of the sponsorships and vendor fees is gifted back to the community by providing Scholarships for Delridge Community Center classes through the Associated Recreational Council, something the Delridge Day Planning Committee felt was integral to the celebration ‐ giving back to the community through our partnership with Seattle Parks & Recreation.